I took a creative writing class during my last semester of high school in 2003, and I still have the “idea notebook” I created while enrolled in that class. Our first day of class was January 21, 2003. 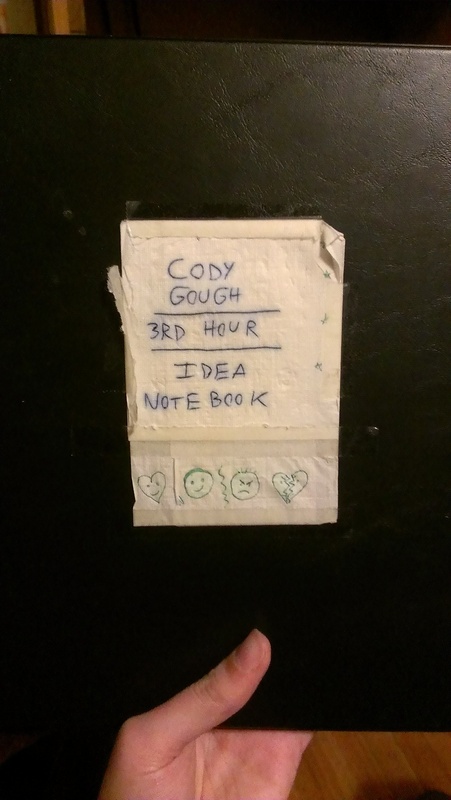 In 2013, I began reproducing the contents of my “idea notebook” in their entirety on this site. All of my poems, stories, notes, and more are now archived on this page along with ongoing posts of my thoughts on every piece of work – from 10+ years after the fact. Prepare yourself for a mixture of hilarity and mild shock in the rare instance that something actually still seems intelligent or interesting, even a decade later. Click here to find all of my 10-year Idea Reunion posts.